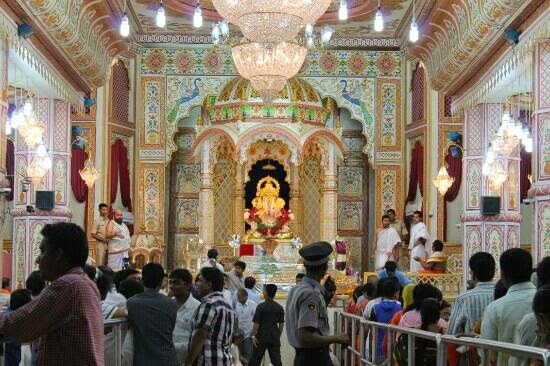 The Ganesh Chaturthi celebrations in Dagadusheth Halwai Ganpati Temple of Pune attract plenty of tourists and devotees of Lord Ganesha in large numbers every year. Dedicated to Lord Ganesha, this temple is visited by thousands of people, including politicians, actors, and other famous personalities. 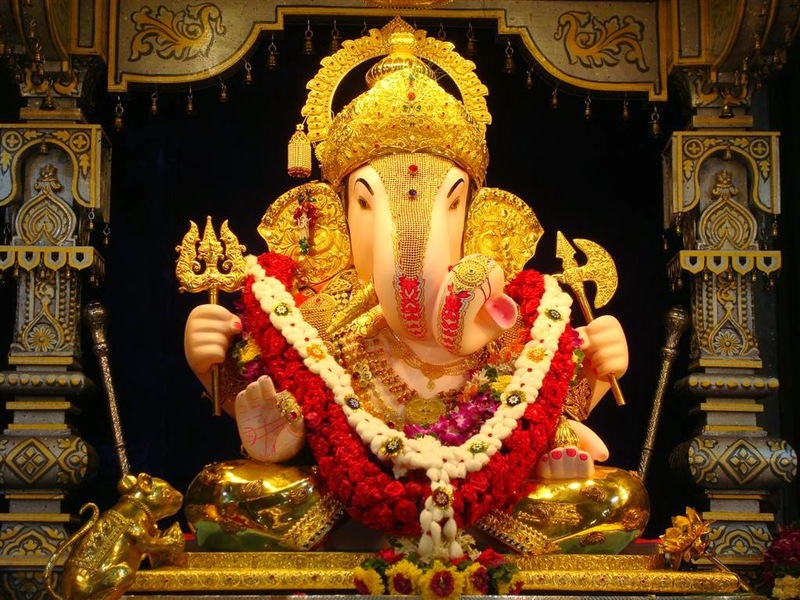 Its main Ganesha idol is insured for a sum of 10,000,000 rupees, which amounts to 170,000 US Dollars. Annual celebrations of Ganesh Chaturthi is managed by Shreemant Dagdusheth Halwai Sarvajanik Ganpati Trust. The organization puts in great efforts to make sure that the festival is celebrated in a grand manner. It also carries out philanthropic works from the donations received from the people of Pune and other parts of the world. 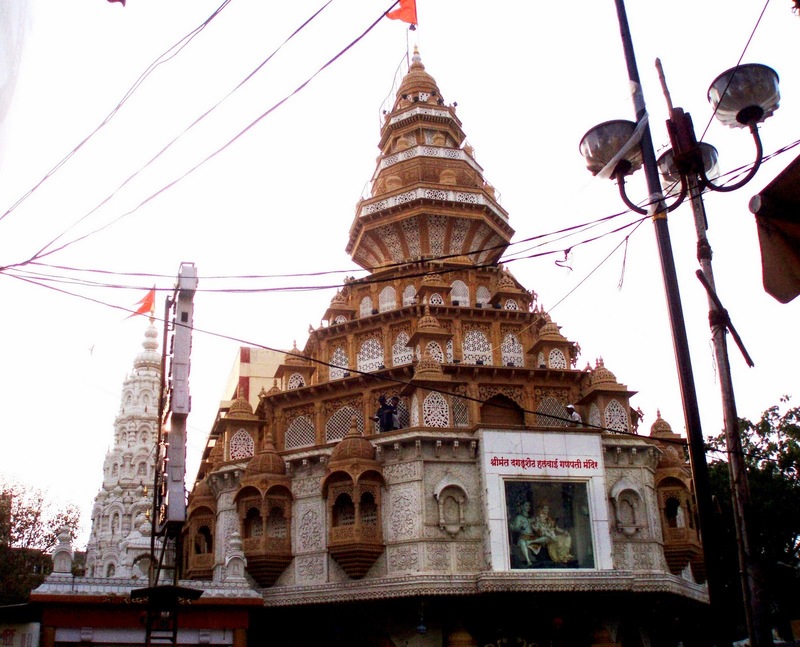 History of Dagadusheth Halwai Ganapati Temple goes back to the times when a rich and famous trader of sweets named Dagadusheth Halwai made two idols, one of Lord Datta Maharaj and the other of Lord Ganapati. Dagadusheth had lost his son during the outbreak of plague in those times, which left him and his wife depressed and in great sorrow. The idols were created following the suggestion from his spiritual Guru known as Shri Madhavnath Maharaj. He had told Dagadusheth to make the two idols, and to worship and take care of them as if they were his own sons. Dagadusheth Halwai later established the Shreemant Dagdusheth Halwai Sarvajanik Ganpati Trust, which operates an old age home and is involved in various social services in recent times. Worshippers of Lord Ganesha and tourists arrive at the Dagadusheth Halwai Ganapati Temple every year to witness the great idol and seek blessings of the deity. An accommodation in Pune in any of the popular hotels offer them great convenience in visiting this temple, as well as other interesting places nearby. They can enjoy great facilities in such hotels, which makes their stay a memorable experience.